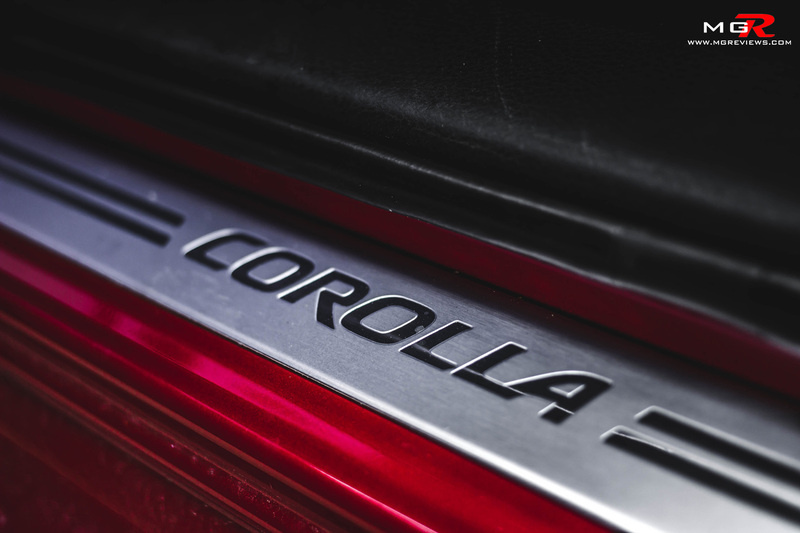 With over 40 million Corollas sold since its introduction in 1966, Toyota has taken a bold step in redesigning and improving the now 11th generation of the best selling nameplate in the world. Performance – A 1.8L inline-4 engine that produces 132hp and 128 lb-ft of torque is what powers this car. 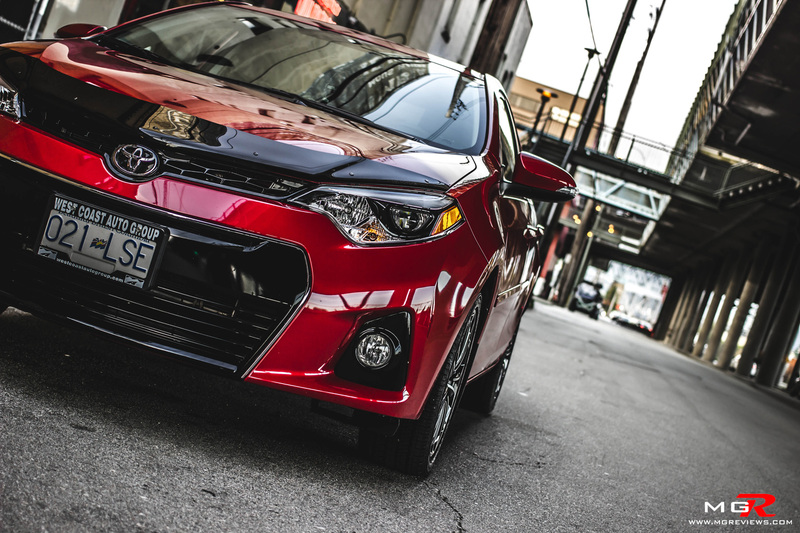 It is on par with its main rival from Nissan, the Sentra, but it’s down by 23hp when compared to the Mazda3. For those looking for “pin you to the seat” acceleration, the engine’s performance leaves you wanting more. 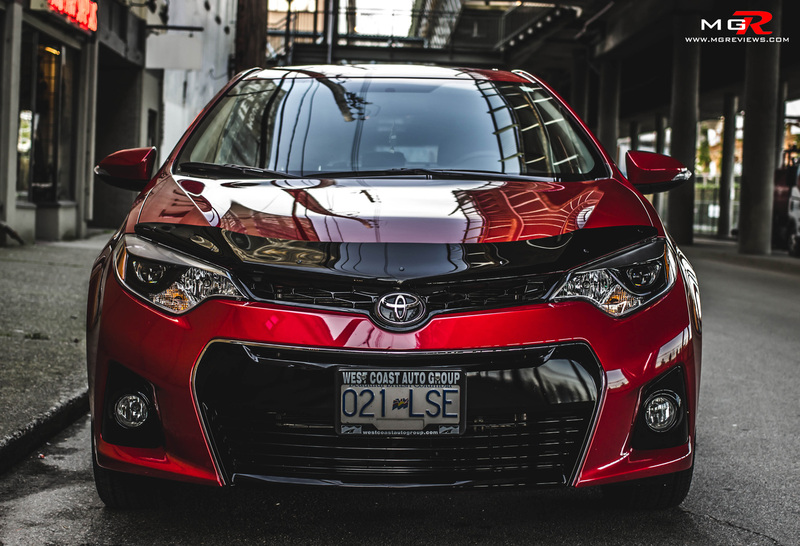 However for most buyers of this car it will be enough because it can accelerate from a stop to the highway speed limit at a reasonably quick pace. Mated to the engine is either a 6-speed manual or a continuously variable transmission (CVT) like the one in this test vehicle. 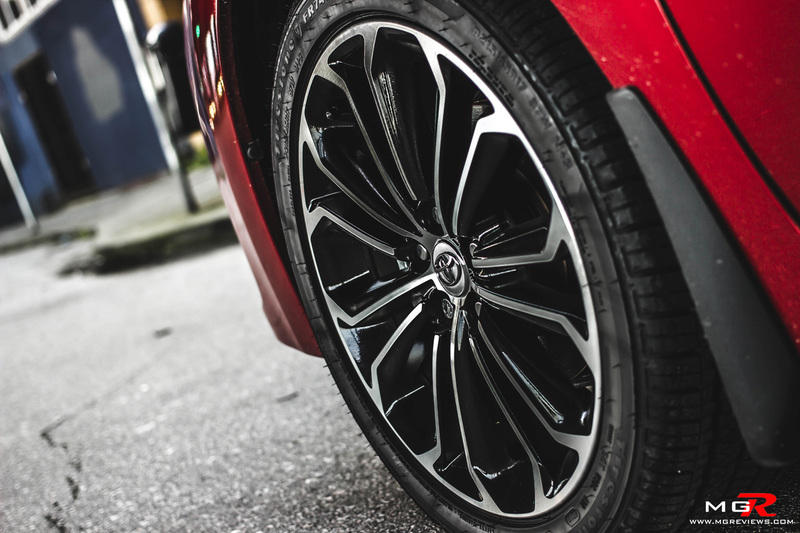 Without getting into too much boring details, a normal CVT holds the engine’s rpms at a set point for either peak power or optimal fuel economy when accelerating or normal cruising. 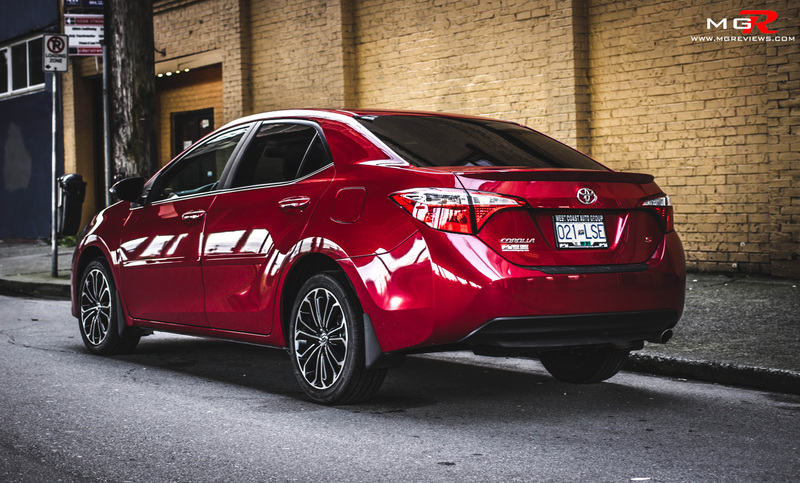 The CVT in this Corolla tries to behave like it has only 7 speeds when in reality it can have infinite gear ratios. In normal “D” mode, the transmission blurs the lines between being a CVT and a normal automatic but in Manual mode it tries to be a 7-speed automatic all the time. In this mode it is responsive to the driver’s inputs and the steering wheel mounted gear paddles bring some fun and allow the driver to utilize all of the engine’s power. Although the engine isn’t particularly sporty in character, it does have two big advantages. First, going at 100km/h on a highway feels effortless and it never feels as though it’s struggling to keep up with traffic. Secondly, despite the fact that this is not a hybrid nor an “advanced” gasoline engine like the Mazda3 Skyactiv engine, it is a very fuel efficient little motor. 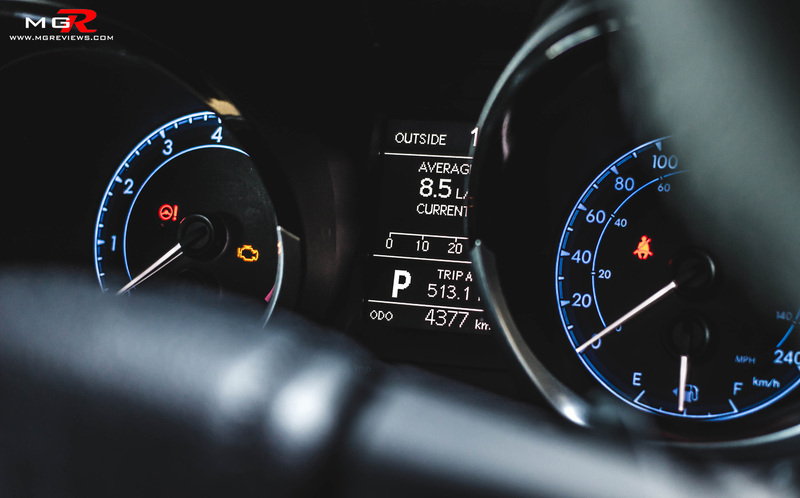 The engine, the CVT transmission, and the redesigned exterior all contribute to fuel ratings of 6.5L/100km in the city and 4.6L/100km on the highway. 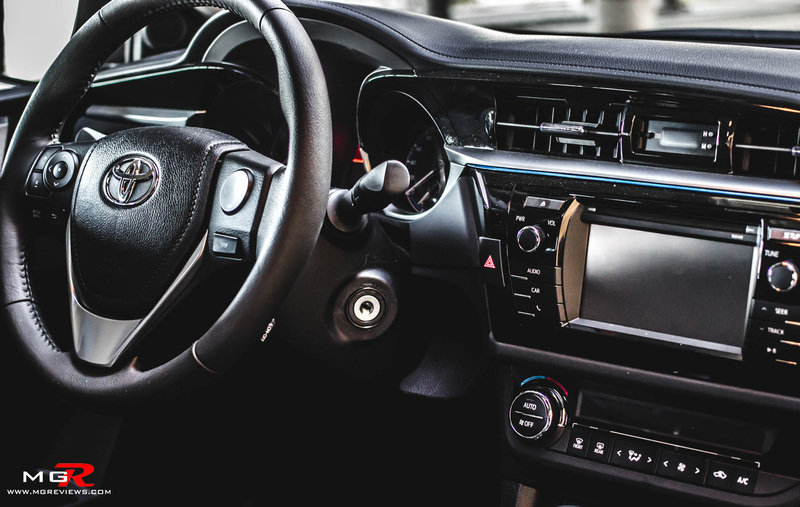 Comfort – The interior of the new Corolla is now on par with the interior of a Lexus from the early 2000s both in terms of luxury and features. This S model is equipped with soft and supportive leather seats along with 8-way power adjustable driver’s seat. Head room is plentiful for taller drivers and there is ample room in the back seats for adults as well. That’s usually not the case in other compact sedans. 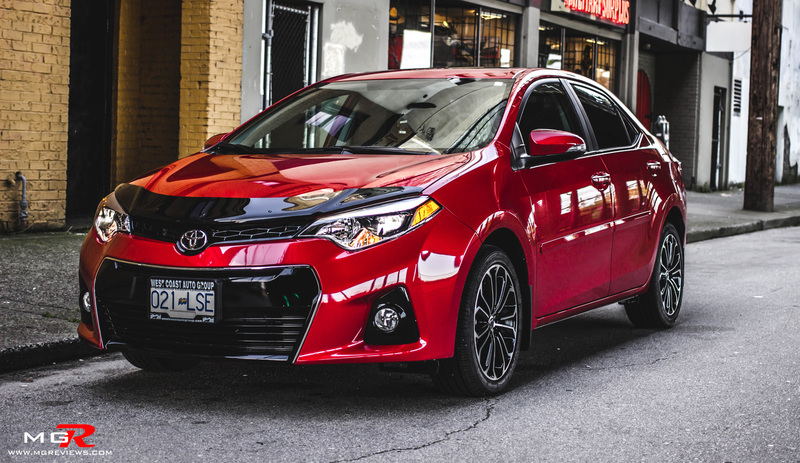 The cabin is well insulated from the noises of the outside world and coupled with the silky smooth suspension, the interior of the Corolla provides a clam and peaceful atmosphere. 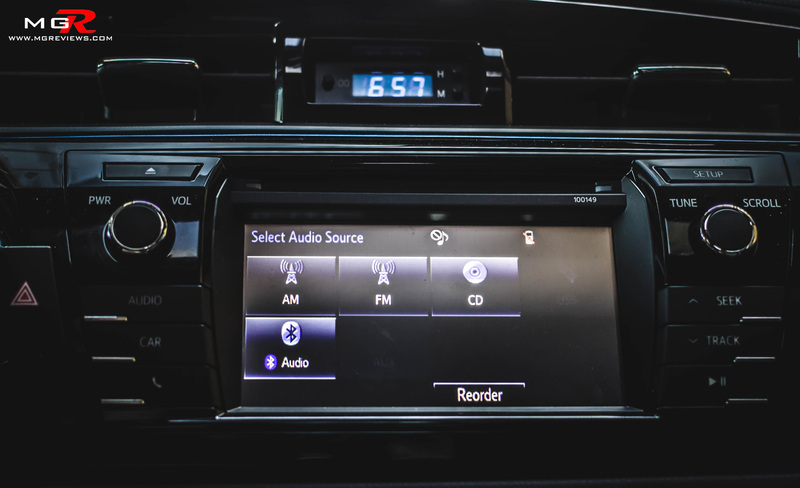 The base Corolla comes nicely equipped with Bluetooth phone connectivity, external USB connectivity, steering wheel mounted controls, voice activated commands, and heated seats to name a few. 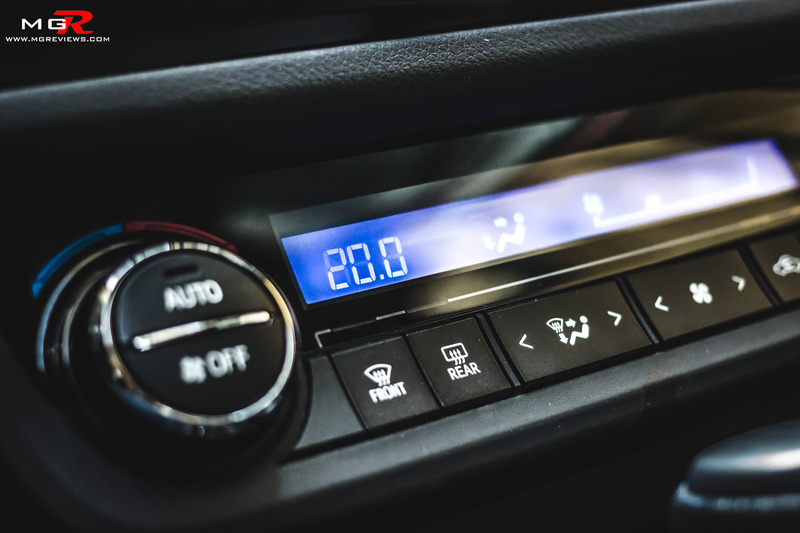 This S model ups the ante with a touch screen display that is intuitive to control, climate control, sunroof, Satellite radio and Navigation. All of these exact features used to be found on a $40,000 Lexus over a decade ago. 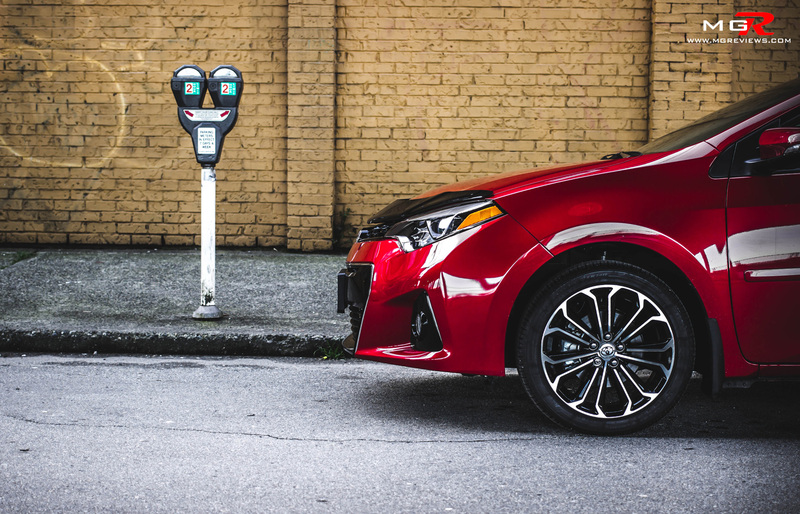 Now they’re all available in the Corolla and the price for these gadgets, plus the car, is under $25,000 CAD. 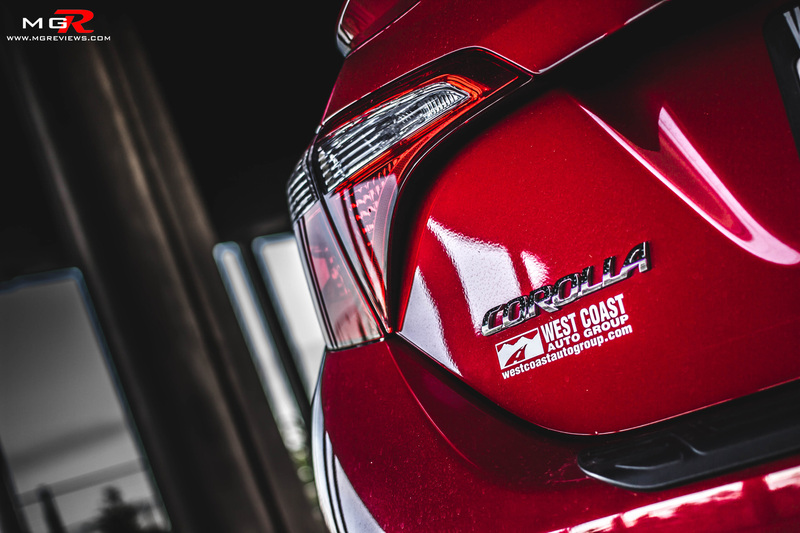 Odds and Ends – As you’ve noticed by now from the pictures, the Corolla has a very bold new styling. 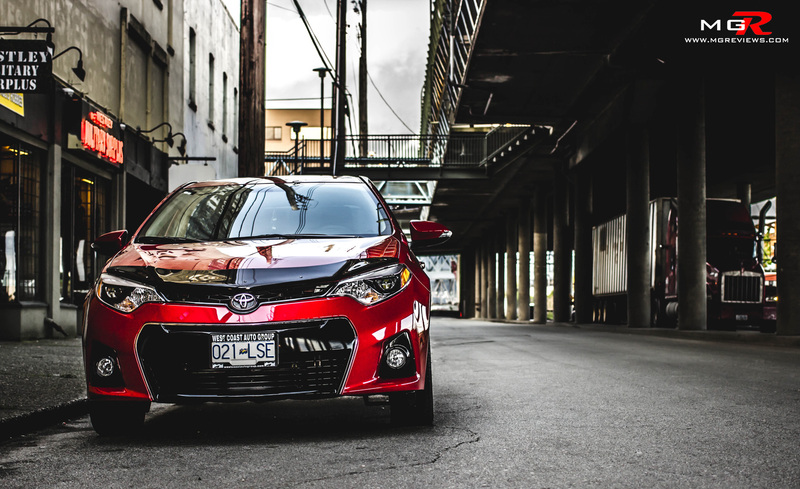 It no longer looks like an average, run of the mill commuter car but rather a compact car that any buyer would be proud to show off to their friends. The low-beam daytime running lights are not standard xenon headlamps but rather LED headlamps. 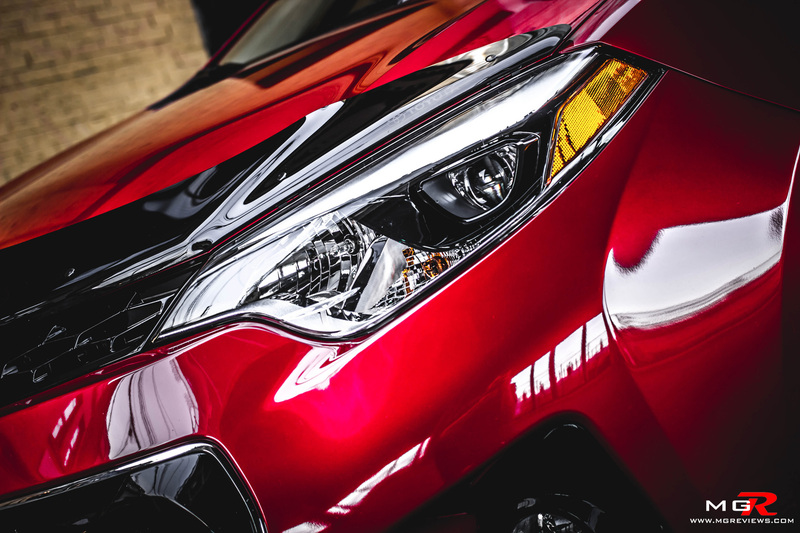 Normally these type of headlamps are usually found only on luxury auto brands that cost 3 or 4 times more than the Corolla so having them on a compact car is a first. Lastly, there is the legendary Toyota reliability. 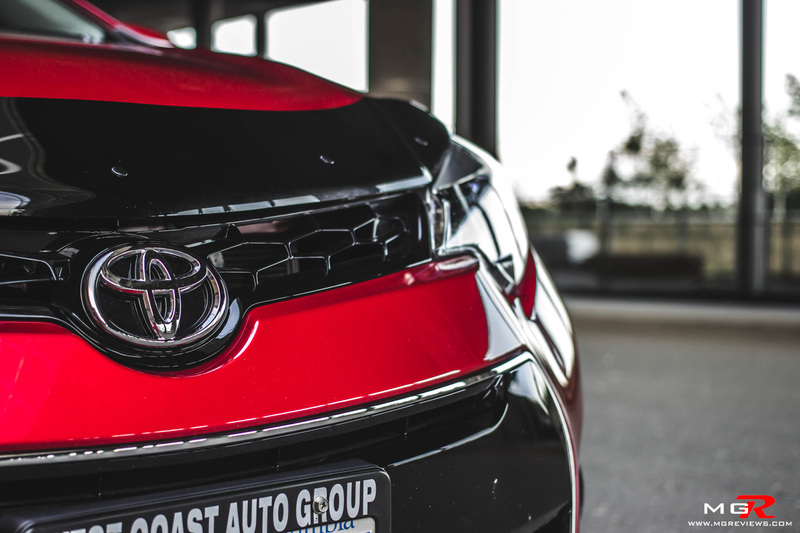 Year after year, Toyota is continuously named as the top auto brand for producing the most reliable vehicles in the world. So if their history is anything to go by, then this new Corolla should still run like new when the year 2040 rolls around.